The Sun in Aquarius makes fine links with both Jupiter and Uranus this month, and this can create a lot of momentum around collective involvements, as long as we stay objective. The key to progress Aries, is going to be in investing in your original ideas and flair. However, your ruler Mars clashes with powerful Pluto in the first week of February. Something you feel strongly about may lead to an objection or a challenge by an authoritative individual. However, your financial fortunes can be boosted positively in the last week of the month. Mars enters your sign on the 14th, and this is going to give you a significant boost of energy and drive. But it can be your sensitivity to others which proves to be a real asset between the 17th and the 20th. As the Sun makes its way into your sector of friendships and long-term plans on the 19th, your optimism can increase, and networking can pay off for you handsomely. Someone you encounter early in February, can really capture your imagination, but it's going to be important to temper any enthusiasm with a clear understanding of who contributes and does what. There could be some frank exchanges, and this can give you a lot of food for thought, especially from the 14th. Ambitions can soar though, from the 19th. You may find yourself in a battle of wills early this month. 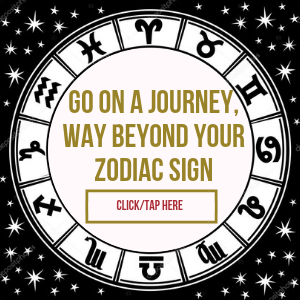 But there's much more to be gained through a spirit of co-operation, and the move of Venus on the 4th into your sector of relating, can certainly help this process. With Mars on the 14th sparking your social appetite, relationships can really start to sparkle. A journey could also prove to be fated Cancer. A role or responsibility which has become something of a drudge, will need to be resolved early this month. You may not find it easy to assert your needs, but once you do, you can feel liberated. With Mars soaring to the top of your 'scope from the 14th, it really is time to march to the sound of the beat of your own drum. The spotlight beckons greater success. The Full Moon is in your sign on the 19th. This can see you thinking carefully about your relationships. But even in the first week of this month with Jupiter and Neptune at right angles, you might encounter someone with an air of mystique, who captivates you or leaves you somewhat confused. Fortunately, the last week of February sees you much more decisive. Your enthusiasm can be enormous from the 14th to the 18th, and the extra pizzazz you bring to a situation can really impress someone special. Home, family and emotional strands do though continue to be very important, and this could see you busy decorating or looking to move. Your business or work talents can also shine through in the last week. Your two ruling planets of Mars and Pluto, are at right angles in the first week of February. This can create some tension, and if you feel stress mounting, look to your hobbies or some kind of physical exercise as a diversion. Diplomacy can also pay off, but Venus will be supportive and help engender a better understanding with others. Solo? You can be bold in week four. A family, home or personal matter, can require a deft touch early in February. Someone may see things so very differently, and this can require patience and tact to deal with. Mid-month though, gives you a glorious chance to show how free spirited and independent you can be, and spot a unique opportunity to progress. A DIY project speeds forwards as the month ends. Venus glides into your sign on the 4th of February. This will give you greater personal confidence and can see more than one admirer drawn to you. This is a fine chance to enjoy a makeover too Capricorn, or to start over again in your love life. With the Sun and Mars angling superbly from the 21st to the 28th, a more social vibe can brighten your world. A revelation in week one can surprise you, but once in the open, gives you a fine chance to clear the air and move on. Solo? An old flame may come back into your thinking, or you can reminisce about the past with old contacts. Good news can emerge mid-month, almost out of the blue. Be ready to seize the moment. Home changes shape up in the last week. Mercury enters your sign on the 10th, followed by the Sun on the 19th. This duo will help spark new beginnings and a greater sense of self confidence and drive. Your imagination can also be awesome from the 17th to the 20th. Expect to be busier and more active, and especially in the last week. This will be an excellent time to take the initiative and demonstrate your flair.